It’s a sticky June day in Jackson, S.C. Turning off South Carolina Highway 125, there’s a transition into a slower pace. My arrival at Jarrett Rifles is met with relief since GPS sent me off course on an accidental dirt road tour of Jarrett Rifles’ 10,000-acre Cowden Plantation. I realize I’ve gone too far when I reach a sign that reads “Hell Hole.” With barely enough cell service to call for directions, Jarrett chuckles on the other end of the phone when I say I’m in the “Hell Hole.” He patiently tells me to turn around and come back across the railroad tracks. I’m way too many cornfields in the wrong direction. Back on asphalt, I spy a young blond woman walking a yellow lab down the middle of the road. I roll the window down and ask if she might be Jarrett’s daughter Rissa. With affirmation she laughs and says GPS takes visitors that way frequently. “Hang a right here. Daddy’s in there waiting,” she says. Better late than never. Inside a rustic wood cabin, which comprises Jarrett Rifles, a rosy-cheeked Jarrett greets me dressed in blue jeans, a short sleeve gingham plaid shirt, his signature suspenders and a Jarrett Rifles trucker style hat. The smell of tobacco and gunpowder lingers in the air. With his characteristic mild manner, he begins a few introductions, acquainting me with family members and skilled craftsmen who call this workshop home during work hours, five days a week. It becomes clear that this is where the magic happens in the small family run business. Down a country road, among bean fields and food plots, cypress trees and Carolina forest, precision has been perfected over the past 38 years. Jarrett has earned the reputation of being the creator of the world’s most accurate hunting rifle and has been handcrafting firearms as long as he can remember. He even recalls his grandmother’s keen storytelling ability. “She would relay those stories that her daddy told her about his days in the Civil War,” he explains. Awards, ribbons, and plaques are the wallpaper here, and they serve as a constant reminder that Jarrett is a world record sharpshooter. With numerous victories in national shooting competitions and 17 world records in bench rest shooting, there’s plenty of proof of his accuracy. A stone’s throw from the headquarters is his very modest brick home. Inside the compound there’s a shooting range, countless outbuildings and the Jarrett Museum, one of the finest private displays of Civil War artifacts around today. Custom crafted display cases house an impressive arrowhead collection and other artifacts that would turn the heads of even the most astute archaeologists. Signs of his hard work and enthusiasm are everywhere in the museum. “I cut all the lumber for this place, sawed it myself, planed it myself,” Jarrett says. Carved bowls from trees on the property line the shelves and handmade wooden frames adorn the walls. It seems there’s nothing he can’t create. The larger-than-life museum preserves a unique era in history and contains original Civil War artillery, signed documents, flags, revolutionary buckles, period furnishings and other memorabilia. Jarrett has traveled the country over the years, scouring auctions, antique shops, flea markets and national Civil War shows. “You never know what you are going to find,” he says. Filled with surprises, the museum even boasts relics from the Ming dynasty. Jarrett’s impressive trophy room rounds out the collection with everything from an elephant and tiger to elk. It is here with Jarrett playing docent in his own museum that one can fully understand this man, his fascination with guns, his knowledge of American Civil War history, his keen ability to engage in storytelling and a whole lot more. With his knowledge of gun mechanics and his bench rest shooting success, Kenny Jarrett’s path was poised to be fortuitous. He decided to create a rifle that would shoot across a bean field with unparalleled accuracy. Jarrett’s father left when he was a young boy and his mother was forced to travel to Augusta for work, leaving his grandmother and uncle to fill the roles of mother and father. Farming was king then and he helped with farm chores as a dedicated hard working boy, a work ethic he credits his uncle for instilling in him. Where there’s farmland, hunting is a natural pastime and so Jarrett began his acquaintance with guns. In his free time he would pick cotton, retrieve doves for the preacher during dove hunts and tinker with guns in his carport. Despite naysayers and shooting buddies who warned him that he would never make any money making firearms, he continued to fiddle with guns and reload ammunition. With his knowledge of gun mechanics and his bench rest shooting success, Jarrett’s path was poised to be fortuitous. He decided to create a rifle that would shoot across a bean field with unparalleled accuracy. When a friend saw the target from the two groups shot with his newly created rifle, he pulled out his checkbook and told Jarrett he was going home with that gun. Jarrett told him the gun wasn’t for sale and the man politely reminded Jarrett that everything is for sale. “You write the check and I’ll sign it,” said the gentleman of the $1,475 paycheck that marked the beginning of a long career in the rifle business. “Over 5,000 guns later I was right and they were wrong,” laughs Jarrett. Now his momentum in the firearms arena is stronger than ever, with an A list of customers ranging from General Norman Schwarzkopf and George Bush to Travis Tritt and Hank Williams, Jr.
Today hunters and sporting enthusiasts entrust Jarrett to some of life’s biggest moments. Take for instance the moment a father sits in the deer stand with his young son and the buck of a lifetime crosses their path. The father quickly realizes there are no do-overs, no second chances. He has one shot to make the moment count, to create the memory, to add to the fabric of their family photo album for generations. That’s what separates a Jarrett Rifles customer from someone who might purchase a gun from a big box retail store. The Jarrett Rifles customer is also the hunter who has traveled 32 hours by plane, car, Jeep and helicopter, endured jet lag and scrutinizing eyes from the passport officer, for that moment when they come face to face with a trophy African animal in the wild. The smoking gun here is a Jarrett rifle. Jarrett Rifles stands behind their product with a 30-day money back guarantee and a company guarantee that each gun will shoot ½ MOA in a three consecutive shot group at 100 yards. In less technical terms they will shoot three consecutive shots in a ½ inch cluster on a target from 100 yards. Not only do they hand lap their barrels 1,100 times with a stainless steel rod, they have configured the flawless tri-lock receiver and make their own stocks from fiberglass, wood or carbon fiber. Every detail can be customized to the customer’s specific needs. Unique to Jarrett, each rifle comes to the customer finely tuned, having been shot for accuracy at least 150 times with 20 rounds of custom loads formulated for that rifle. They even ship the last three targets the rifle shot for proof. Unique to Jarrett Rifles, each rifle comes to the customer finely tuned, having been shot for accuracy at least 150 times with 20 rounds of custom loads formulated for that rifle. For a man who has traveled 32 countries, supplied military officials and country leaders with countless rifles, shot about every species of game imaginable and created the empire known as Jarrett Rifles, there’s a lot to be thankful for. “I’m glad we got to involve the kids and the grandkids,” he says and adds that he’s proud of the notoriety of the Jarrett name all over the world. With sons Jay and Cain and daughter Rissa all actively taking part in the family business, there’s only one thing left to do. For someone with the knack for storytelling like Jarrett, it is passing down those stories for others to hear. If all goes according to plan, Jarrett says he’s going to write a book. “I’ve got a lot of good stories, but I’m saving all of my Dale Earnhardt stories for the book I’m going to write,” he says. I, for one, am setting my sights on an autographed copy. 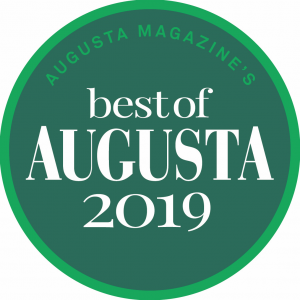 Article appears in the October 2017 issue of Augusta Magazine.